While more people are familiar with Winter's Bone after the film won two awards at the 2010 Sundance Film Festival's Grand Jury Prize and Waldo Salt Screenwriting Award, they might not be familiar with the tantalizing genre from which it springs. Author of the source novel, Daniel Woodrell, calls it "country noir" over crime novel. The genre descriptor works so well because the Missouri Ozarks (and Louisiana) can be as gritty and harshly honest as the work, but not without its own sense of civility and unapologetic nobility. This is a place where people protect their identity, no matter how honorable or vile. In a world where there is no room for excuses, brutality is made beautiful and beauty brutal. 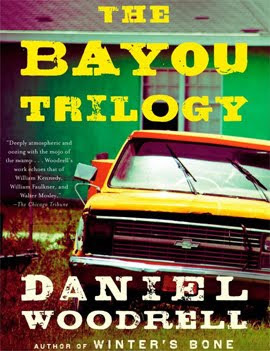 The Three Books That Make Up The Bayou Trilogy. The Bayou Trilogy brings together Under The Bright Lights, Muscle For The Wing, and The Ones You Do. With differing degrees the three early works are tied together by Rene Shade, an uncompromising ex-boxer turned police detective who is frequently reminded that the upper hand belongs to criminals, ex-cons, and shady Parish readers. Under the Bright Lights. The thickness of his surroundings quickly convinces all comers that the protagonist may as well trudge out against the swamp itself (which he does later in the book). But the story doesn't just rely on Rene Shade and his partner How Blanchette as they investigate the murder of a city councilman. The book is split evenly between the main character and treacherously hardhearted to mostly limp criminals. And it's in this no-holds-barred pedestrian view where Woodrell shines a light on varied hearts of darkness. Indeed, almost no one possesses a moral compass, making it especially difficult for anyone to avoid being sucked under as they are squeezed between the bottom and top. Muscle For The Wing (Classic). This thread is played out even further in the second book, Muscle For The Wing, which underscores the point. As Shade investigates the murder of a corrupt police officer, he's asked to sweep justice aside and become a hero under the equally blind banner of vengeance. Someone wants the gang of hold-up men who are targeting other criminals erased. The case eventually forces Shade to confront his childhood friend, Shuggie Zeck, who has his own impression of how things ought to play out. The Ones You Do. The final book places the most emphasis on his father, an aging defunct pool shark, who shows up on Shade's doorstep with a daughter (Shade's half-sister). He had nowhere else to go after his wife deserted her family to quest after a music career. Any hopes of rebuilding their life where she left evaporated with the money she stole from an hardboiled sociopath. And like all of his work, Woodrell effortlessly moves back and forth between primary and supporting and even background characters to tell the story, especially Lunch, who blazes a path of destruction as he attempts to catch up with his missing money. 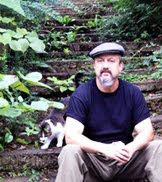 A Bit About Daniel Woodrell, Author Of The Bayou Trilogy. Daniel Woodrell used to seem more elusive than many modern writers, with his first three books receiving critical attention but no real commercial attention. While Woodrell doesn't know why these three books were passed by the public, the most likely reason is that they didn't fit the pastel framed 80s. One decade on either side might have made all the difference. Even more interesting is how much Woodrell takes in parts from his own life. Although the swamp town of Saint Bruno is fictional, Woodrell did capture some hard felt experiences after dropping out of high school and joining the U.S. Marines at age 17. After the military, he held hard labor jobs and once hitchhiked across America. Today he is married to novelist Katie Estill and lives in Springfield, Missouri. The Bayou Trilogy Takes Hold At 8.2 On The Liquid Hip Richter Scale. Woodrell doesn't pull any punches and some readers may be put off by characters layered in racism, sexism, and dehumanization. Yet, that is what makes Woodrell's work stand out. 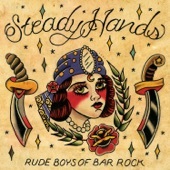 The characters may be as fictional as the town, but they are as violent, profane, shallow, steadfast, and several earn sympathy despite their bad choices or being broken by a town "where the sideburns were longer, the fuses shorter, the skirts higher and expectations lower." He doesn't try to write dark. He just writes about life. The Bayou Trilogy: Under the Bright Lights, Muscle for the Wing, and The Ones You Do, released by Mulholland Books, is available on Amazon. You can also find the trilogy at Barnes & Noble. 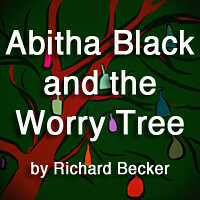 On iTunes, the audiobook is narrated by Bronson Pinchot with thick accents and captivating voices. The run time is just over 15 hours.